Sri Lanka’s maiden satellite launch done by SupremeSAT, a private company with collaboration from China’s state owned China Great Wall Industry Corporation, is expected to take place on Tuesday, an official said. The launch was initially expected to take place on 22 November but was postponed due to bad weather, Space Systems Engineer Rohitha Rajapaksa has told media. 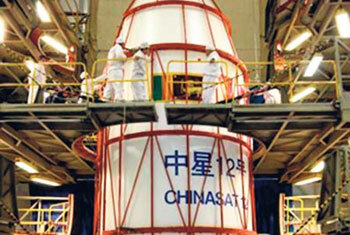 The new date has been set for 27 November with the launch center being from Xi Chang. It was earlier reported that the total investment for the project is estimated at 320 million U.S. dollars. This amount includes the construction of a satellite Content Management Station and a Space Academy in Sri Lanka’s central town Kandy. According to Xinhua news agency the company has entered into an exclusive partnership agreement with China’s state owned China Great Wall Industry Corporation (CGWIC) for the design, manufacturing and launching of the satellite.